Samsung faces a lawsuit from a woman who claims her Galaxy Note 9 phone caught fire inside her handbag, after the device initially became “extremely hot,” before catching fire, and emitting “thick smoke.” The incident took place inside an elevator, making the situation considerably more frightening, according to a story published by The New York Post. Batteries inside phones are complex and, especially when mistreated, can be fire hazards; but explosions are very rare. However, because the phone in question here is a Samsung Galaxy Note device, a lot more people will take notice. The reason, in case you’re not aware, is that the Galaxy Note 7 suffered from a manufacturing defect that led to some examples catching fire. The device was eventually recalled, potentially costing Samsung a billion dollars in the process. Following an extensive overhaul of its safety practices, engineering checks, and manufacturing processes, the Galaxy Note 8 was released later, followed by the Galaxy Note 9 in August this year. At the time, Samsung Mobile CEO DJ Koh told The Investor, “The battery in the Galaxy Note 9 is safer than ever. Users do not have to worry about the batteries anymore.” Words which are almost certainly true; but still probably shouldn’t be used to tempt fate. The Note 9 owner, named as Diane Chung by the New York Post, describes panicking in the elevator as the phone started to catch fire, and has apparently filed a lawsuit in the Queens Supreme Court asking for damages and for the Galaxy Note 9 to be withdrawn from sale. She claims Samsung should have been aware of any defects that caused the phone to threaten users’ safety. Details around the device, and the battery’s state, are not known. Samsung upgraded the battery in the Galaxy Note 9 considerably over previous versions. It has a large 4,000mAh battery inside a body that’s almost identical in size to the Galaxy Note 8, which contained a 3,300mAh capacity cell. The ill-fated Galaxy Note 7 had a 3,500mAh capacity battery, and the revised Note 7 FE — sold only in some markets as a refurbished device — had a 3,300mAh cell. Samsung responded by saying it has not received any other reports of Galaxy Note 9 phones catching fire, and is currently investigating. 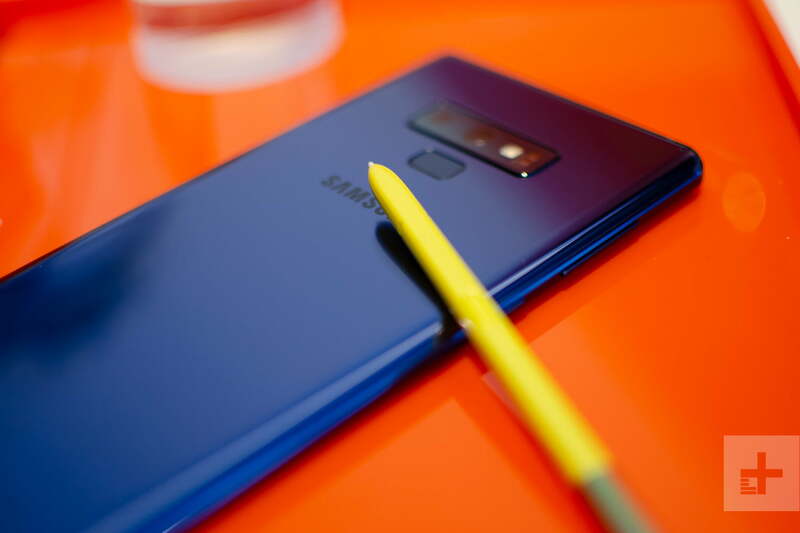 If you own a Galaxy Note 9, there is no evidence you should be concerned, although always just like every phone, using the supplied Samsung charger and cable is advisable when recharging the battery.